Our mission is to connect artisans, traditions and interesting stories from around the globe with individuals who appreciate and want to live with exquisite art, architecture, textiles and craft. We are interested in promoting and enhancing the art of living. Our textiles are made-to-order designs. Please allow 4-6 week delivery times. Bedtime is one of my favorite lifestyle design categories. I discovered how scrumptious and versatile cotton voile is on my first work adventure in India. 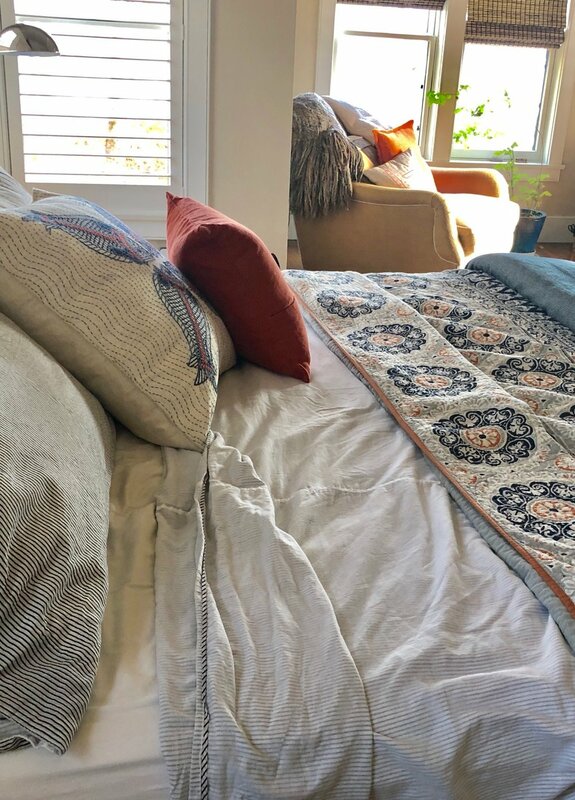 It’s been ten years now that I’ve slept with this gorgeous north Indian and Nepalese mountain tradition of combining hand block printing with layers of cotton voile for luxurious sleeping comfort. It’s an old-world tradition and a timeless bedding concept. Honest and humble… and amazing to sleep in. We begin our bedtime story by offering you simple luxury bedding basics: a duvet cover, a rare three layer flat sheet and our pillow cases. The mystery of this quiet bedding is in how you combine these three basic elements. There is no one word to describe how exquisite and comfortable this bedding feels….so here are just a few. The term voile originates from the French word for veil. It is a soft sheer fabric usually made of 100% cotton. Because of its light weight, drape and breathable nature it is often used for soft furnishing and in fashion. I can’t wait for you to try them.